Dental Staff - New York, NY - Gerald K. Appelle, D.D.S. 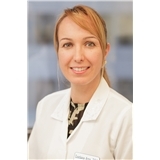 Dr. Luciana Ares is currently working in private practice as a General Dentist. She obtained her first dental degree in 2000- in Brazil- where she also had advanced training in Prosthodontics. After moving to the United States, she attended New York University School of Dentistry where she earned her Doctor of Dental Surgery (D.D.S) degree. Following graduation, Dr. Ares completed a 1 year General Practice residency at Queens Hospital Center. In 2008, she also completed a 1 year postgraduate program in Advanced Restorative Dentistry, also at NewYork University, with an emphasis in Cosmetic Dentistry and additional training in Implant Restorations. Dr. Ares is currently a member of the American Dental Association (ADA), Academy of General Dentistry (AGD), and the American Academy of Cosmetic Dentistry (AACD). Dr. Jae Choi is a general and cosmetic dentist currently working in private practice. He received a bachelor of science degree in biology from Calvin College and his doctor of dental surgery degree from New York University College of Dentistry. He completed his general practice residency at Jersey City Medical Center. He believes that the function and aesthetics of teeth should be balanced for long-term stability. With his treating philosophy, he focuses not only on cosmetics but also on details that can affect surrounding teeth and restorations. He puts emphasis on post-care for better maintenance. Dr. Choi delivers a full range dentistry including fillings, inlays and onlays, crowns, veneers, dentures, root canal treatments, surgical extractions, dental implants, and Invisalign. Every year, Dr. Choi spends many hours on continuing education for better patient care. He is a member of the American Dental Association (ADA), Academy of General Dentistry (AGD), American Academy of Cosmetic Dentistry (AACD), and International Congress of Oral Implantologists (ICOI). During his free time, he enjoys running and walking along the river, reading, and listening to music. Dr. Woo completed her undergraduate education at Stony Brook University, earning a Bachelor of Science degree in Biochemistry. Dr. Woo received her D.D.S. degree at NYU College of Dentistry earning honors in Aesthetic Dentistry. Following dental school, Dr. 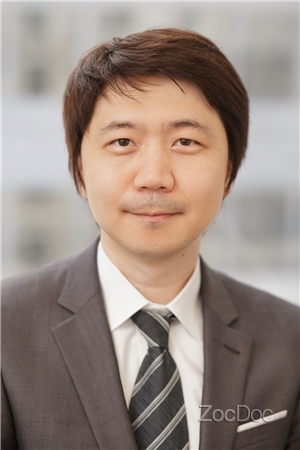 Woo remained at NYU and completed a 3-year specialty residency in Prosthodontics. Her main focus is to provide her patients with the highest quality of dental care in a compassionate and comfortable manner.